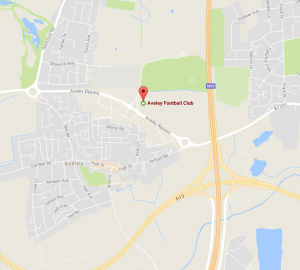 Whatever the occasion, whatever your taste in music, we can provide a DJ for your event. Some DJs have a set genre or play only the music they want, we play the music YOU want! A 5 hour set using a high performance sound system providing you with a great quality of music and a mix of tunes tailored to you and your guests. The booth is perfect for any special occasion that you’d like to remember, You’ll receive a USB stick at the ending of the day containing all of your photos. During the 3 hour hire your guests will have unlimited use of the attended booth, which has space to accommodate up to 5 people at one time. 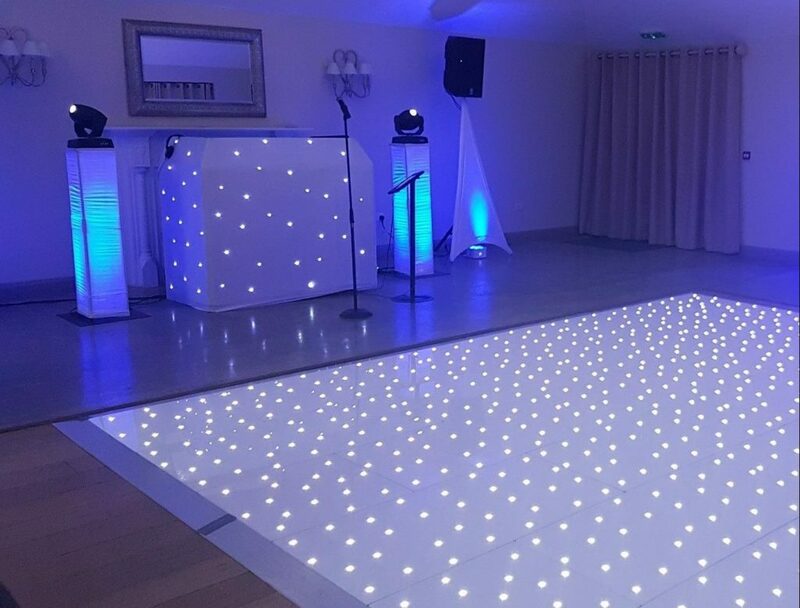 Our 16ft x 16ft white LED dancefloor is fully portable and can be located wherever you desire, it can also be set to different programmes, permanently lit or to sparkle mode. Our LED uplighters are great for adding the wow factor to your event and creating a unique mood. These lights can be set to a range of different colours or to full multicolour disco mode. Choose from White or Black linen table cloths as a base for your tables. 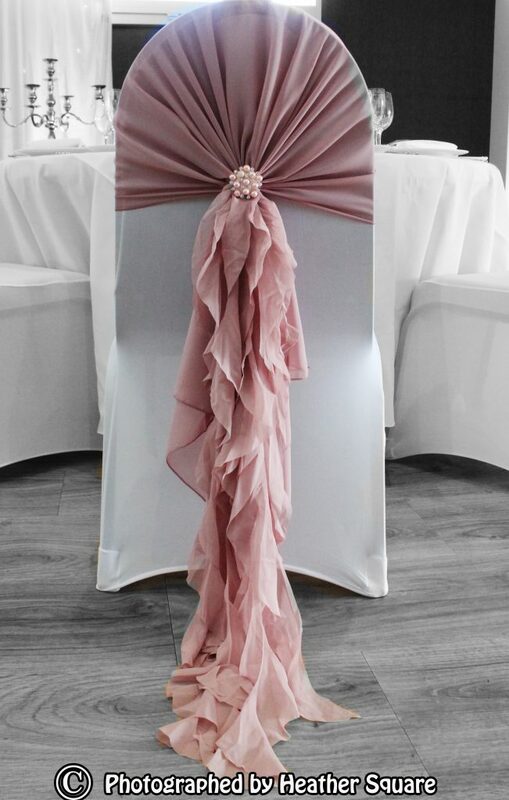 Choose from the colours black, white or grey for your fitted chair covers and finish the look with a range of hoods, sashes and tiebacks in an array of colours and materials. 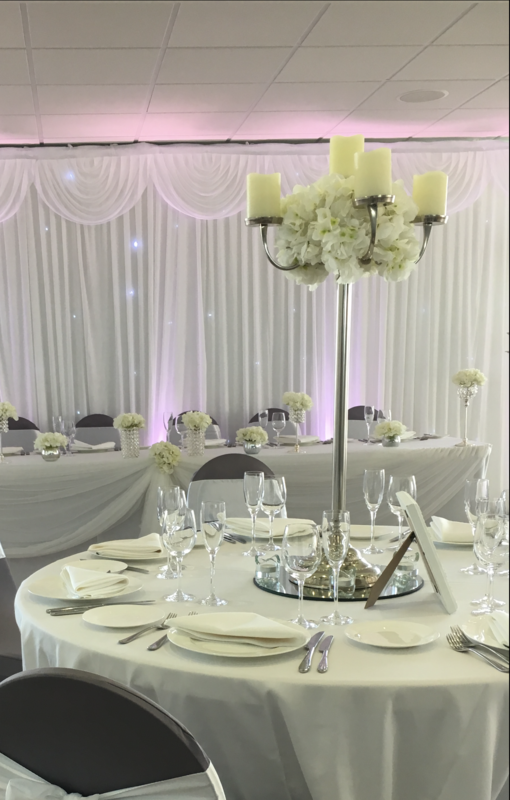 We provide a stunning backdrop for your top table, complimented by drapes and swags to match your colour theme. The addition of uplighting or starlight LED lighting finishes the look perfectly. Choose the perfect centre piece to suit your theme and colour scheme. We have many options for you to consider, from simple to extravagant. Each table will be decorated to the highest standard in order to match your vision.